Peter Paul was not around when the two men arrived. His wife, Magdalena, refused to sell them wine because of the local prohibition law. The timberman grabbed some containers of wine and Magdalena tried to stop him. He picked up a nearby cotton hoe and hit her in the head with it, then he hacked both of her arms. Hearing screams, husband Peter Paul, who was returning from a trip to town, ran to her defense, waving an old dragoon saber. Ignoring the weapon, the young man battered him with the hoe; the last swing landed so hard it broke into five pieces. The blows severely fractured Peter Paul’s skull; smashed his ribs, causing a collapsed lung; and broke a bone in his left arm. P. P. Loetscher, who runs a wine joint in the east part of town, was up again in the Mayor’s Court, and fined $200 for selling wine….A timber man by name of Luke and J. P. Thompson went to Loetscher’s and filled up on wine. Luke got into a difficulty with Loetscher and he and family jumped on Luke, and Luke slashed them right and left with a hoe, laying some of the household up for repairs. Thompson told of the big fight, and our vigilant Mayor got wind of it, and he brought Loetscher in, and found him guilty, and assessed fine with trimmings. Three days after this story was published, on Monday, June 4, 1894, 49-year-old Loetscher died from his injuries. He left behind his wife, who had emigrated from Switzerland with him, three young boys, and a daughter in her twenties. Conway, June 4 -- P.P. Loetscher died this morning. The Coroner’s jury this evening found that he died from wounds inflicted by a hoe in the hands of Joe Luke. A warrant will be issued for Luke, charging him with manslaughter. Luke has left. Loetscher’s arm was broken, his skull fractured and side bruised. He has been acting dementedly and was thought to be suffering with delirium tremens. Little Rock, Ark – A special from Conway, Ark. says that Joe Luke, a drunken character, while suffering from delirium tremens Sunday attacked P. P. Loetscher, a prominent German farmer, with a hoe inflicting wounds which resulted in death Monday morning. Luke escaped. As these stories note, Luke fled arrest, going to Texas where he had spent some years during his childhood. After Arkansas’ governor, in response to an outcry from German-speaking residents of the state, offered a reward for Luke’s capture, the sheriff of Faulkner County, where Mayflower and Conway are located, tracked him down and brought him back to Conway. The sheriff later complained that the governor had not paid him the reward. While the murder of P.P. Loetscher was the senseless act of a drunken rowdy and the mayor’s abuse of the dying man was callus at best, they were not random acts. Both were the culmination of actions by Conway-area prohibitionists, especially the mayor, that had made life difficult for Loetscher (and other vintners) by stopping the legal sale of alcoholic beverages in the city. From this perspective, the murder grew out of the conflict that had arisen between the immigrant winemaker and the prohibitionist mayor, who was assisted by his allies. The conflict started with the enactment of a “three-mile prohibition law” in Conway, and it was exacerbated by Mayor Martin’s strict enforcement of it. Arkansas’s three-mile law, permitted by state legislation passed in 1871, was a back-door way for prohibitionists to stop the sale of alcoholic beverages within cities when they were unable to get a county-wide prohibition law. The law, when adopted locally, made the sale of liquor illegal within three miles of a specified church or school. Strangely, the law was not an ordinance approved by a city council, but – under the provisions of state law – it went into effect for two years when a majority of citizens living within a three-mile radius of a designated church or school signed a petition in favor of it and presented it to the county court. An indication of the depth of emotion stirred by the issue was the murder of John McCulloch, a Conway citizen who had once served as a city alderman, on the night of September 1, 1890 in the Faulkner County Courthouse. McCulloch, who had opposed prohibition, was shot by J.R. Williams, a “Prohi.” Less than a year later, Williams also killed John’s brother, Sam McCulloch, shooting him in the back on June 27, 1891, while he was running away. In both killings he claimed self-defense. When the “dry forces” thought they had enough signatures, they filed the three-mile petitions with the Faulkner County Court. The petitions were closely examined, with both pro- and anti-prohibition lawyers challenging and defending every name on them. After hearing the evidence, the court determined that the petitioners lacked the required number of signatures to comprise a majority of adults in the designated area. That ruling was challenged in the circuit court, and on August 8, 1888, Circuit Judge Joseph W. Martin ruled that the petitions had the signatures of a majority of adults in the affected area and ordered the county court to prohibit for two years “the sale of intoxicating liquor within three miles of the public schoolhouse in block 25 of the town of Conway.” He allowed people with unexpired licenses to continue to sell liquor until their licenses expired. Because the licenses were issued annually, all of them were expired on December 31, 1888. Whatever triggered the three-mile law to stop Loetscher from selling wine, it was a disaster for him and his family. Beginning in 1889 or 1890, this law meant that Loetscher could no longer do what he had been doing for more than a decade to make a living: legally operating a “wine garden” on his farm to sell the wine he made. Under financial duress, Loetscher continued to sell wine to feed his family, and the mayor had him arrested several times. According the Arkansas Echo, “Because without selling his wine he could not feed his family with his farm income, he resisted desperately. [Loetscher] was hounded like a beast. Spies were on the lookout day and night. He was convicted every time he was accused, proof or no proof. The mayor had no pangs of conscious in dealing with him.” In short, when prohibition became law, Loetscher went from being a respected citizen to a repeat lawbreaker. Because of the three-mile prohibition law and Mayor Martin’s zealous enforcement of it, the Loetschers were in a difficult position when Joe Luke arrived at their farm on May 26, 1894, demanding wine. They likely refused to sell it to him because they feared Mayor Martin would find out and arrest them again. This refusal enraged drunken Luke, leading to the murder. If Loetscher could have legally sold Luke the wine he wanted, the murder perhaps would have not occurred. While Luke was the murderer, Mayor Martin and the other Conway prohibitionists who enacted and enforced the three-mile law created the circumstances of the deed. When Peter Paul Loetscher arrived in Conway in 1871 (or soon thereafter) with his wife and infant daughter, their main challenge was to survive as they carved a new life out of the wilderness in which they had chosen to live. Likely, planting a vineyard was not high on his list of things to do to feed his family during his early years in Arkansas. He had been born on March 13, 1845 in the Graubünden Canton (the Arkansas Echo erroneously wrote that he was born in Canton Appenzel), which is located in the Alps near the borders with Italy, Austria, and Liechtenstein. His wife was Magdalena (Lena) Luck who was born on December 8, 1844 in nearby Sankt Gallen, Switzerland. The couple had married in 1868. Peter Paul Loetscher is the tall young man in the back standing behind his mother and father. We know something about Peter Paul’s life in Switzerland thanks to Andreas Heege, an archaeologist who has researched pottery produced in 18th and 19th century Switzerland. In his work, Heege wrote about the St. Antönien Potters, also known as Lötscher Potters, a family business that made household items for more than a century. Peter Paul came from this family of potters. According to Heege’s research, Peter Paul Lötscher’s great-grandfather Peter Lötscher (1750 – 1818) started the business making ceramic, glass, and porcelain items in the early 1780s. It was located in St. Antönien in the Graubünden Canton. In 1806, he passed the business on to Peter Paul’s grandfather, Andreas Lötscher (1787 – 1852), who built a new workplace in Ascharina near St. Antönien. 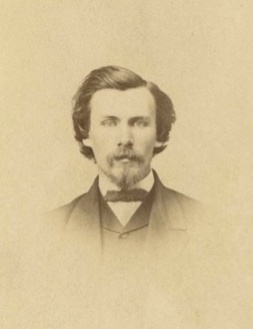 After Andreas’ death, Peter Paul’s father, Christian (1821-1880) took over the firm. Then in 1867, Peter Paul, at the age of 22, began managing the business. Apparently he did not like the work, or perhaps was not good at it. For whatever reason, he quit the business and emigrated in 1871. After his departure, his father resumed management of the firm. Following his death in 1880, Peter Paul’s younger brother took over the business which closed in 1894. Also aboard the Hannover was Peter Paul’s cousin, two years older, identically named Peter Paul Lötscher (1842 – 1908). His cousin was traveling with his wife Magartha (1843-1915?) and their children Johann (age three) and Dorathia (less than a year old). After arriving in New Orleans, his cousin continued with his family up the Mississippi River to Dubuque, Iowa. His arrival there was assisted by relatives, Peter (1811-1886) and Margaretha Loetscher (1815-1895), who had been living in Dubuque since 1851. The movements of Peter Paul and his family after their arrival in New Orleans are unknown, so it is not certain exactly when they arrived in the Conway area. Perhaps they also went to Dubuque before their journey to Arkansas. Wherever they traveled after leaving New Orleans, it seems likely they settled in the Conway area in 1871 or 1872. It is a mystery why they chose this remote location, instead of a place nearer his relatives. Actually, at least one other German-speaking immigrant came to the Conway area is 1871. According to the Arkansas Encyclopedia, Max Frauenthal (1836-1914) arrived in Conway that year with a railroad construction crew. He stayed and started a mercantile business with a store in the center of the city. His store, Frauenthal and Schwarz, was open until 1952. The presence of the Peter Paul Loetscher in Conway is first documented on a petition he signed, along with 30 other men, in 1875 to incorporate a swath of land as the city of Conway. His signature shows that he was a qualified voter living within the boundaries of the land to be incorporated. Loetscher and Frauenthal were not the only German-speaking settlers in the Conway area for long. Others joined them in the latter years of the 1870s. Near the end of the decade, the Holy Ghost Fathers and the Benedictines cooperated with the Little Rock and Fort Smith Railroad to attract German-speaking immigrants to the Arkansas River Valley. The Benedictines, headquartered at St. Benedict’s, near Altus, offered immigrants access to cheap land along the river from Clarksville to Ft. Smith. The Holy Ghost Fathers had their headquarters first in Conway, then in Morrilton; they offered cheap land along the Arkansas River from Little Rock to Atkins. As they started their mission in the Arkansas River Valley, the Holy Ghost Fathers built in 1879 the St. Joseph Church in Conway (it is still in existence). To assist with the development of the St. Joseph Society as an immigrant community, a Holy Ghost Fathers priest, Joseph Strub, moved to Conway to minister to Catholics living in the vicinity. He also assisted the effort to attract more Catholic immigrants to the Arkansas River Valley by writing a German-language guidebook, published in 1880. It emphasized the cheap land made available by the railroad and the quality of life in the area. The recruitment of German-speaking immigrants had some success in Faulkner County. In 1880, the census showed that 165 Faulkner County residents had been born in Germany, Switzerland, or Austria. It counted 49 heads of households who were born in Germany (40), Switzerland (3), or Austria (5). In 1890, the number of German-, Swiss- and Austrian-born residents of Faulkner County had increased to 223. The late 1870s and early 1880s wave of immigration into Central Arkansas is described in detail by Jonathan James Wolf in an Arkansas Historical Quarterly article. He wrote about the recruitment of immigrants, the costs and challenges they faced after arriving, and how they related to their English-speaking neighbors. He noted that the difficulties of settling in a new land resulted in a high death rate among immigrants. According to Wolf, of about 500 German-speaking immigrants living in Morrilton in 1880, 46 died; another 49 died in 1881. He wrote that about the same percentage of immigrants in Conway also died during these years. It is clear from Wolfe’s research that the Germans who came to the Arkansas River Valley in the late 1870s and early 1880s faced great hardships. Fortunately for them, they were assisted by the Catholic Church and their German-speaking neighbors to adapt to their new situation. In contrast, when the Loetschers arrived in 1871 or 72, they had no such support as they scratched out a farm in the new frontier. Despite the lack of assistance, the Loetschers did well, though they may have lost a child in the early 1880s. Peter Paul and Magdalena had four children that grew into adulthood. The oldest, Verena (or Brena) Lötscher (1869-1947) was born when Peter Paul and Lena were still living in Switzerland. Three other children were born in Arkansas: Christian F. (1874 – 1935), John Andrew (1882-1958), and Carle R. (1889 – 1931). Also, it appears that they had another boy who died in childhood. According to the 1880 census, the Loetscher household included a two-year old boy named George. He does not show up in later records of family members. I have found no information about his fate. Not long after the 1880 census was completed, Peter Paul began to acquire land. According to U.S. General Land Office records, he received an 80-acre homestead on July 20, 1881, bought another 40 acres on August 25, 1882, and purchased another 80-acre homestead on May 5, 1883. Apparently he made a decent living from his land. No information can be found on when Loetscher started growing grapes and making wine. In any case, he was among the first farmers in the state to do so. According to the Arkansas Encyclopedia, the earliest vintners in Arkansas included Johann Wiederkehr, from Switzerland, and Jacob Post, from Germany, both of whom both produced wines in Altus (Franklin County). Both started making their wines in about 1880. Grape culture is receiving a great deal of attention, the Concord and other varieties yield immense quantities of wine (400 to 500 gallons per acre) and sells for $1 and upwards per gallon. The German citizens (always thrifty and prosperous wherever they may be) are developing this industry very rapidly. Not long after this article was published, after the sale of locally made wine was prohibited within three miles of the Conway public school, commercial wine making in Conway came to a quick end. Although most of the newer German-speaking arrivals around Conway were Catholics, likely the Loetschers were not. Direct evidence of what church, if any, the family attended is lacking. However, genealogical information shows that their relatives in Dubuque were Protestants. While most non-Catholic German-speaking immigrants were Lutherans, Conway did not get a Lutheran Church until 1884 when a German Evangelical Lutheran Church was organized and a sanctuary erected. Its initial membership was only twelve families. It is not known if the Loetscher family was one of them. In politics, Peter Paul was a Republican – the party that had been in power when he and his family had arrived in the Conway area in the early 1870s. In 1886, he ran for Faulkner County coroner on the Republican ticket, but lost the election with fewer votes (771) than the candidates of the Democratic Party (1274 votes) and the Wheeler Party (863). In 1888, after about seventeen years in the United States, it seemed that Loetscher’s decision to emigrate from Switzerland had paid off. He and his wife had three young sons and a 20-year old daughter, owned 200 acres of productive land and a wine garden, and earned a decent living. That happy situation came to an end in 1890 when the three-mile law went into effect, a new prohibitionist mayor was elected, and a new college arrived. Captain William Wyle Martin, the man who helped bring misery into Loetscher’s life, is an unlikely villain in any story. He was a progressive mayor with many accomplishments, a successful businessman, and a highly admired philanthropist who was honored after his death by burial on the Hendrix College campus. He also was a staunch Methodist, an ardent prohibitionist, and a moralist who strictly exercised his mayoral powers guided by his beliefs. 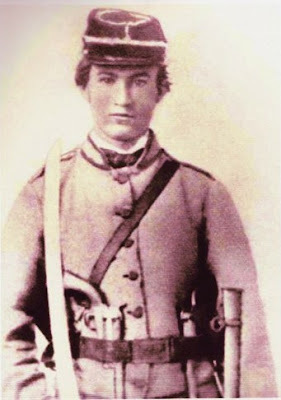 Soon after the Civil War started, Martin joined the Arkansas 10th Regiment of the Confederate Army. He was appointed to be a third lieutenant in Company A of the Quitman Rifles. After the battle of Shiloh, he was promoted to captain. He and his unit were captured at the fall of Port Hudson in Louisiana in July 1863. According to one account of his life, he returned to Arkansas when he escaped from his capture. Other accounts of his life do not mention an escape, stating that he returned to Arkansas when the war ended. Following the war, Martin settled in Springfield, Arkansas, which was, at the time, the seat of the Conway County government. Springfield is about a dozen miles north of Conway. 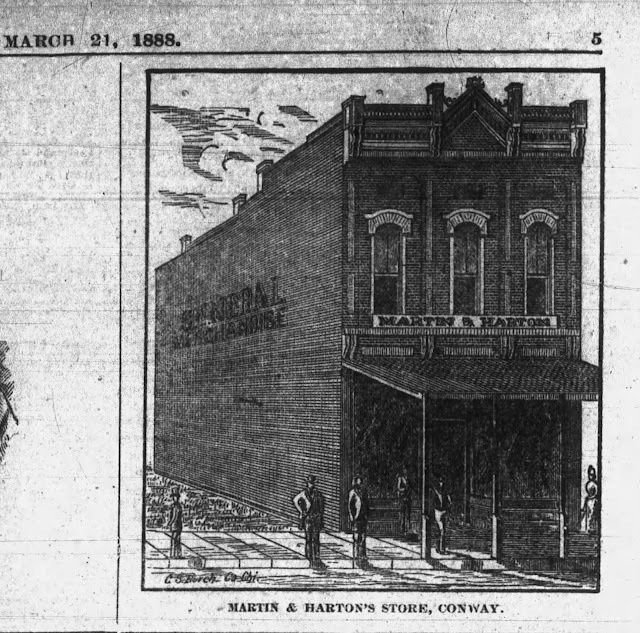 After serving a couple of years as a deputy sheriff of Conway County, Martin went into the mercantile business with some partners; the store’s name was Martin and Vaughn. The business continued to operate, renamed W.W. Martin & Co in 1875, until 1885 when he moved to Conway. When Martin arrived in Conway his path had been paved, at least to some extent, by his brother Jesse England Martin, who was eight years younger than him. J.E. Martin had lived in Conway for a decade and had been elected in 1875 as the first sheriff of Faulkner County. In 1876, he had been elected to represent the county in the state legislature. He left that office after one term to attend to his new mercantile business where he kept “a stock of goods and supplies that would beggar description as to their variety.” He was elected again to the legislature in 1888 and served in that office for many years. The leading merchants in town are Martin and Harton, who do a general merchandise business of about $80,000 yearly and handle 2400 to 3000 bales of cotton. They are progressive, go-ahead men of large ideas and money to back them up. They are foremost in all public enterprises and do not hesitate to lend their aid to the immigrant cause. When Captain Martin arrived in Conway he found a dirty little country town whose main attribute was six licensed saloons. There were no paved streets or sidewalks…. From the time of its founding until the late 1880’s Conway was known as a “tough town.” It was under control of the whisky element. The six saloons in Conway had gambling in the back rooms. Captain Martin declared war instantly. To improve the situation, Martin became active in civic affairs. He was quickly elected to the city council and became a member of the school board. In 1888, as described earlier, he joined a local pastor in an effort to rid the city of its saloons. With its enactment in 1888, the three-mile prohibition law forced saloons to shut down on January 1, 1889 and also put wine-selling farmers such as Loetscher out of business. In 1889 and 1890, Martin led an effort to induce a private college, which had recently changed its name from Central Collegiate Institute to Hendrix College, to relocate from Altus to Conway. The College had recently affiliated with the Methodist Church and several towns were interested in hosting it. Martin put together $72,000 in pledges to assist the college with its relocation. On March 4, 1890, the Trustees of Hendrix College met to decide where the college would relocate. On the 51st ballot, the Trustees selected Conway over Arkadelphia and Searcy. 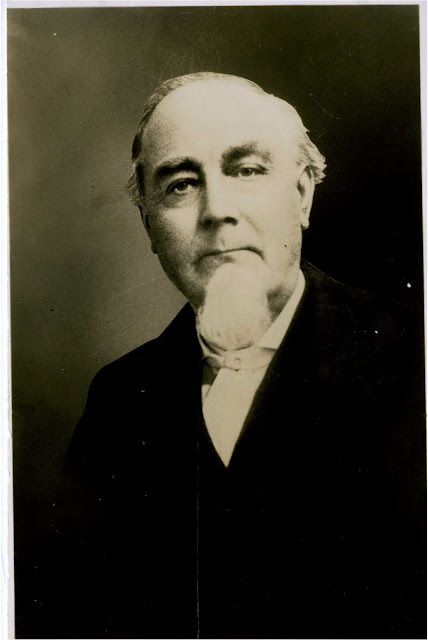 Mr. Martin contributed $13,000 to the college, conditional upon its being located at Conway, and informed the delegation if his town’s guarantee was not sufficient he was ready to make his contribution $20,000. This was all he could do for the present, but after the college had been located at Conway he promised to give it further assistance and upon his death the trustees would find a clause in his will endowing the institution with $100,000. Martin kept his promises, continuing his support of the college during its difficult early years in Conway, providing money to pay its yearly deficits until the institution got on its feet. Later he led fund-raising efforts for Hendrix College and helped create an endowment. Over the years he contributed about $75,000 in cash and assets to the college (his contributions, adjusted for inflation, equaled the equivalent of about $2 million today). He served for twenty years on Hendrix College’s Board of Trustees. Shortly after the meeting that netted Hendrix College for Conway, Martin was elected mayor of the city which was still divided by the fight over the three-mile law. As an adamant moralist, Martin used his executive and judicial powers to discourage unbecoming behavior. For example, during his first term he shut down the local billiard hall and refused to allow a circus to come to town because he did not want students at the soon-to-open Hendrix College to be corrupted by these questionable activities. Also, he was unyielding in enforcing the three-mile prohibition law, levying heavy fines on people he convicted of illegally selling alcoholic beverages. [Martin’s] uniform rule of sitting down on wrong and making all violators of the law, be they whosoever they may, atone to the offended law, made him very unpopular with a certain element, and in the same ratio popular with the opposition. So the main fight was for and against Capt. Martin. So, after a hard day’s fight, of the 262 votes polled, Capt. Martin received 153 and J.V. Mitchell 102….Capt. Martin’s friends regard this as a great victory, and a move in the direction of building up our town morally and educationally. With his opposition routed, Martin served as mayor for more than a decade holding the office from 1890-1895, 1896-1899, 1900-1905. The terms were interrupted, for example during the 1895-1896 term, when he stepped aside to allow someone else to hold the office. Though popular with a firm majority of Conway voters, he was not universally liked. On Christmas Eve, 1903, a would-be assassin placed two sticks of dynamite outside the back of his store. While the explosion damaged the back of the building and “showered him with glass and debris, it caused no injuries or deaths. According to an admiring biographer, Martin was a progressive mayor who took the lead in improving the city, donating his salary to projects such as paving streets and sidewalks. While he was mayor, the city of Conway purchased the local power and light plant company and made it a municipal enterprise. Even after stepping down as mayor, he led the effort to create a water and sewer system in the city. Martin was also an inexhaustible civic activist, joining and often leading such organizations as the Young Men’s Christian Association, various prohibitionists groups, and groups such as the Masons, the Cleveland Club (1888), and the Bryan Club (1896). He was an energetic promoter of local and state economic development and was active in a Civil War veterans group. Above all, Martin was a generous philanthropist. Not only did he donate large sums to Hendrix College, he made liberal donations to other organizations such as the Methodist church. In fact, when any good cause came along, Martin was among the first in line to make his donation. In 1910, five years after he had resigned as mayor and after he had been defeated when he ran for county judge, Martin was elected to represent Faulkner County in the Arkansas State Legislature. He was still in the state legislature on November 1911 when he led a delegation of Arkansans who were touring northern states to tout Arkansas as a good place to invest. While in Canton, Ohio, he represented the delegation in a ceremony to place flowers on the grave of ex-President William McKinley. The ceremony took place during a snow storm. Shortly after the event, he developed pneumonia. He died on December 10, 1911. In the end, the man whom the Arkansas Echo had deemed a ‘fanatic” and who had treated Peter Paul Loetscher so unsympathetically as he lay dying had otherwise lived an enviable life of service and generosity, leaving a lasting legacy in Conway and beyond. In a 1999 review of Faulkner County’s past, the Log Cabin Democrat proclaimed Martin to be the fourth most important person in the county’s history. The man who killed for wine was 27 year-old Joe (Joseph) Luke who worked for one of the timber companies that was gobbling up forests in Central Arkansas. The young man’s life likely resembled the lives of the backwoodsman who made Arkansas famous from its early years as a rowdy, dangerous, and uncivilized place. He was exactly the type of man that prohibitionists most wanted to deprive of liquor. Joseph N. Luke – named after his father and grandfather — was born in December 1866. His father was Joseph Reese Luke (1842 - 1925). His mother was Sara Margaret Pearson Luke (1849 - 1885). Joseph Reese and Sara Margaret had married in 1866 and were living in Alabama when their first son was born. Joseph Reese Luke had been born in Tallapoosa, Alabama. His parents had died when he was very young: his father Joseph D. Luke in 1845 and his mother Mary Ann Carter in 1847. After his mother’s death, young Joseph Reese Luke had gone to Panola, Texas, to live with his mother’s relatives. The 1860 census showed him living there with the family of Barney M. Carter. At some point in the 1870s, the Luke family moved to Panola, Texas, where Joseph Reese had spent much of his childhood. They were living there when the 1880 census was conducted. By then, Joseph and Sara Margaret had five children: Joseph N (14), L Mary (12), Willie D (10), Ella E (5) and Alfred (3). Sometime between 1880 and 1885, the family moved back to Arkansas. The family members were living in Arkansas on April 4th, 1885, when Sara Margaret died. She was buried in the Pearson Cemetery, located in the Wooster Community of Faulkner County. In 1888, Joseph Reese Luke married Nancy Caroline Shewmake (1858 – 1929) from Muddy Bayou in Faulkner County. They had three sons: Arthur Clarence (1890-1974), Jessie Marvin Luke (1894 - ? ), and Ray Alexander Luke (1894- 1974). When the second son, Jessie M. was born in 1894, the year of the murder, the family was living in Mayflower. After the murder, Joe Luke fled Arkansas and traveled to Texas (where he had lived with his family a few years during his childhood). A story in the Echo in early July reported that the Conway County Sheriff, last name Wilson, had tracked Luke down in Texas and arrested him near Decatur. Wilson brought Luke back to Arkansas to stand trial for manslaughter. I have found no records or newspaper stories showing that Luke was prosecuted or served prison time for the manslaughter (the charge leveled against him by the local grand jury). If Luke did serve time for his attack on Loetscher, it was likely for a short term. According to the 1900 census, Joseph N Luke was living in Panola, Texas as a boarder with Charley and Cynthia Carter (relatives of the family that raised his father) and their four children. He was listed as a widower working as a farm laborer. Joseph N. Luke does not appear in any subsequent census lists. Likely, he was not alive in 1925 when his father, Joseph Reese, died. 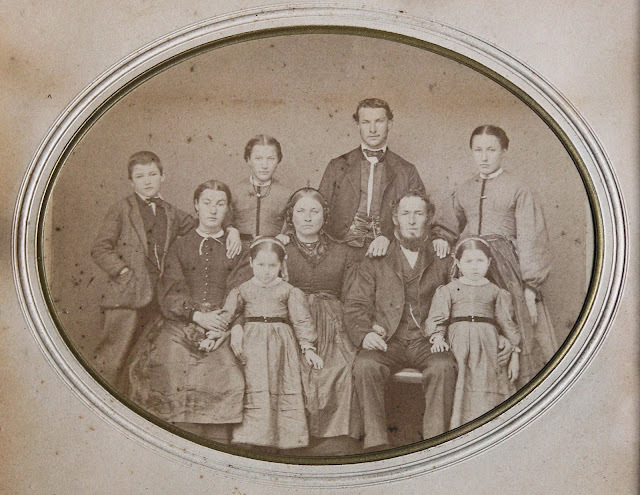 His father’s will gave his estate to sons Arthur, Jesse, and Ray Luke, with a grant of $5 each to daughter Ella and daughters-in-law Sally, Leddie, and Lizzie Luke. It contained no provisions his wife, who was still alive, or for his first-born son, Joseph N.
From the newspaper stories about the killing and census information and, we know just a few facts about the life of Joseph N Luke. The census responses showed that he was poorly educated (no schooling, but could read and write) and worked as a farm laborer in 1900 (and, perhaps, as a farmer in 1910). The newspapers described him as a “woodsman” and a “drunk” who on May 26, 1894 was acting “dementedly” and was thought to be suffering from delirium tremens. If these characterizations are true, Joseph Luke resembled many other poorly educated, liquor-loving characters who made Arkansas a dangerous place during the nineteenth century and who inspired prohibitionists in their efforts to deny liquor to such people. Joseph Luke’s lethal attack on Peter Paul Loetscher and Mayor Martin’s apparent mistreatment of the dying Loetscher occurred within the context of a bitter fight over the legality of liquor in Conway. The prohibitionists wanted to keep liquor out of the hands of hard-edged ruffians, like Joseph Luke, who could be characterized as “drunks.” In doing so, they did not distinguish between bad characters downing hard liquor and other people, especially German-speaking immigrants, for whom wine and beer were innocent pleasures. The success of the Conway prohibitionists had unintended consequences. As it shut down the sale of hard liquors, it also deprived local winemakers such as Loetscher of income important to their livelihoods. Also it created a situation in which the Loetschers could not sell their home-made wine to a crazed man who, when denied it, impulsively attacked them. In addition, the prohibitionist’s hard-won victory apparently made a good man like Mayor Martin insensitive to Loetscher’s suffering caused by loss of income from the sale of wine and later by Luke’s vicious attack on him. In the story of Loetscher’s murder, we have a man who was a victim not only of a murderous attack, but also of a movement that took away his livelihood. We have an alcohol-crazed young man who ruined his life by his lethal attack on the victim. And we have an upstanding citizen who brought no credit to himself when, in this case, he acted as the “enforcer of what was right,” sparing no sympathy for a neighbor who lay dying before his court. In the Arkansas Echo dispatch of June 10, 1894, the author not only expressed anger at Loetscher’s murder, but also concern that German-speaking immigrants were treated unfairly in the Conway area and that prohibitionists were attacking their way of life. Note that the $200 fine in 1894 is equivalent to about $5,000 in 2016. “Beginning in the 1870s the Arkansas legislature enacted a series of liquor control laws, the most important of which was the Three-Mile Law. This measure provided for the prohibition of the sale of alcoholic beverages within a three-mile radius of a church or public school, if a majority of the area inhabitants signed a petition favoring such a ban. In 1884 the Three-Mile Law was used to eliminate the sale of liquor in Mount Vernon, and a few years later was used by anti-liquor forces in Conway who achieved a similar victory. The ‘dry’ cause in Conway was led by Reverend Edward A. Tabor and a prohibitionist politician, Captain William W. Martin. Joe Mosby. “Wet vs Dry Battle Dates Back more than a Century.” Log Cabin Democrat, Sept. 12, 2008, accessed at http://thecabin.net/stories/091208/loc_0912080005.shtml#.Vv1NM_krKUk . This quote is from Faulkner, Its Land and People, a book published by the Faulkner County Historical Society. Three-mile laws became popular in counties in which the county legislative body rejected proposals for county-wide prohibition. This quote is from an article by Frank E. Robins published in the Log Cabin Democrat on May 25, 1931; it was republished in the Faulkner County Facts & Fiddlings, XXXIV (3-4), Fall-Winter, 1997, pp. 15-16. …for years Conway has been controlled by an element who did not afford proper protection to life and property. Ladies were not free from insult on the streets, even on Sundays. As Williams was being brought to Little Rock for the meeting with the governor, the third brother – Will – attempted to shoot him. He was not charged with a crime but released with the promise that he would leave the county and never return. See these articles: “Prohis and Anti-Prohis in Faulkner County,” Daily Arkansas Gazette, Feb. 9, 1892, p. 6; “A Great Scene: One Hundred and One of Conway’s Prominent Citizens,” Daily Arkansas Gazette, March 11, 1892, p.1; J.R. Williams, The Conway Man Convicted of Manslaughter Is Pardoned by Gov. Eagle, Daily Arkansas Gazette, April 17, 1892. “He is Acquitted: J.R. Williams Held Blameless for the Killing of the McCullochs,” Daily Arkansas Gazette, July 21, 1892. Frank Robbins, p. 16. See footnote 4. “Very Dry”, Daily Arkansas Gazette, Feb.16, 1889, p. 4. In 1871 and 1872, the land in and around the future city of Conway was located in Conway County. It was transferred to the newly created Faulkner County in 1873. Also see. Carolyn Gray LeMaster, 1994. A Corner of the Tapestry: A History of the Jewish Experience in Arkansas, 1820s-1990. University of Arkansas Press. The Guiding Star for the St. Joseph Colony: A Guide Book for Catholic Emigrants to the Arkansas River Valley. 1880 (translated and published in 1997 by the Faulkner County Historical Society). In German, the title is Leitstern zur St. Joseph’s Colonie (under Leitung der Vaeter von hl. Geist) im Westen des Staates Arkansas. Ein praktischer Wegweiser und treuer Fueher fuer Katholische Auswanderer. Wolfe, Jonathan James. 1966. “Background of German Immigration: Chapter V, Beginning Life in the New Land.” Arkansas Historical Quarterly, XXV(4), Winter, p. 377. The number of German speakers was greater than 223, because many these European-born residents had children born in the United States. (Faulkner Co: Its Land and People, chapter 2). James Jonathan Wolf. 1966. “Background of German Immigration: Chapter V, Beginning Life in the New Land.” Arkansas Historical Quarterly, XXV(4), Winter, pp. 354-385. A Central-Arkansas drought in 1880-81 contributed to the high mortality of recently arrived immigrants during those years. “Faulkner County: Resources and Attractions of One of the Best Communities in Arkansas.” Daily Arkansas Gazette. March 21, 1888, p. 5. Loetscher was not on the list of Faulkner County taxpayers in 1873, so he likely was renting land during the first years he was there. Earliest Taxpayers of Faulkner Co. Arkansas, April 12, 1873. Complied by Joe R. Goss. Furthermore, neither Peter Paul nor his wife were buried in Conway’s St. Joseph Catholic Church cemetery, which was likely had they been Catholics. of Western Arkansas. Goodspeed Publishers, 1891. “Faulkner County: Resources and Attractions of One of the Best Communities in Arkansas.” Daily Arkansas Gazette. March 21, 1888, p. 5. See note 24. The quotation is from Daily Arkansas Gazette, March 23, 1890. Also see the Daily Arkansas Gazette, March 18, 1890, for information on the competition among towns for Hendrix College. “Conway’s Compromise.” Daily Arkansas Gazette. April 3, 1890. Daily Arkansas Gazette, Sept 7, 1890 p. 1. “Late Election Returns,” Daily Arkansas Gazette, April 10, 1891. Bob Meriwether. “Two ‘Forgotten’ Tribulations of Capt. W.W. Martin,” Faulkner County Facts & Fiddlings, XXXIV(1-2), 1992, pp. 9-10. Martin was elected delegate to the state Cleveland Club meeting (Daily Arkansas Gazette, July 29, 1888). He helped organize and was elected president of the Bryan Club (Daily Arkansas Gazette, July 18, 1896). George W Donaghey, “Arkansas’ Greatest Philanthropist and Private Citizen,” Hendrix College Bulletin, Vol. II, no 1. January 1915, p. 3. The evidence that Joseph N. Luke was “Joe Luke,” the killer, is circumstantial, but strong: (1) the 1880 census showed no family by the name of “Luke” living in Faulkner County, but in 1885 the family of Joseph Luke was living in Faulkner County when Joe Luke’s mother died, (2) the Luke family was living in Mayflower in 1894, and (3) an article about the murder stated Joe Luke was a young man who lived in Mayflower. A “Joseph R Luke” was living with his wife in Oklahoma in 1910, according to the census conducted that year. Like Joseph N Luke, he was born in 1866 and had parents who both had been born in Alabama. The man was a farmer, working rented land. All of the details of the Joseph R Luke correspond with those of Joseph N Luke, except the middle initial. Condray, Kathleen. 2015. Arkansas’s Bloody German-Language Newspaper War of 1892. Arkansas Historical Quarterly. LXXIV (4), Winter, pp. 327-351. Johnson, Ben. 2005. John Barleycorn Must Die. Fayetteville: University of Arkansas Press. LeMaster, Carolyn Gray. 1994. A Corner of the Tapestry: A History of the Jewish Experience in Arkansas, 1820s-1990. University of Arkansas Press. Meriwether, Bob. 1992. Two ‘Forgotten’ Tribulations of Capt. W.W. Martin. Faulkner County Facts & Fiddlings, XXXIV(1-2), pp. 9-10. Robbing, Frank E. 1931. “Conway Goes “Dry” (1888). Conway County Democrat, May 24. Reprinted in Faulkner Facts & Fiddlings. XXXIX (1-2), 1997, pp. 15-16. Wolfe, Jonathan James. 1966. Background of German Immigration: Chapter V, Beginning Life in the New Land. Arkansas Historical Quarterly, XXV(4), pp. 354-385. Peter Paul Loetscher. March 13, 1845 – June 4, 1894. Buried: Oak Grove Cemetery (Conway). Franie (Varena, Brena) Loetscher Rou. Oct. 27, 1869 – January 17, 1947. Married Peter Rou (born in Switzerland), Buried: Primrose United Methodist Cemetery, Pulaski Co, Arkansas. Christian F. Loetscher. Nov 12, 1874 – August 19, 1935. Buried: Colorado Springs, Co.
Dear Dan, well researched and written. I liked it very much and I learned new things about Peter Paul Loetscher. Thank you very much. Just to let you know, that there is a little mistake, his wife was not born in St. Gallen but in St. Antönien where Luck is a very famous familyname. I updated my wikipedia article on the Loetscher family St Antönien, Graubünden, so yo will find more pictures. A book on the potters will be printed in Spring 2019 together with an exhibition in the Rätische Museum Chur. Meanwhile you can find all what is going on, on Twitter with #LötscherProjekt or #KeramikderSchweiz. Hello Andreas -- Thank you for your comments. I appreciate the correction and will update the article to reflect it. Your research on the Loetscher family and pottery is excellent and helped me get a fuller picture of Peter Paul Loetscher and his path to the tragedy of the murder. It is great to hear about the upcoming exhibition and book. Thanks. Thank you for this amazing article! I do not know how I missed this when it came out. I loved and shared your previous write up on the murder. I shared it with my whole family. We are descendants of Peter Paul’s son Christian. I asked around the extended family, and no one had ever even heard the story! I will be sharing this one with with gusto. Your detail is amazing and your research is incredibly thorough. I can fill in a couple of the holes that you noted. George Loetscher did live to adulthood. He was living with his sister, Frannie Rou, at the time of the 1900 census. Of his children, one is named Peter Paul. He is buried in Primrose as well. I had presumed the family was Lutheran due to being German speaking, but Andreas Heege clarified in our emails back and forth that the family was Swiss Reformed, decidedly so, due to their area. I think he sent me a picture of the gorgeous church where Peter and Magdalena were married, but my computer is being repaired and I can’t look it up to confirm right now. Their area was home to a major reformer during that time so their religious preference was staunch (until they moved to the US). I agree that the lack of support Peter Paul faced in settling Conway was huge. The German speaking Catholics came in groups for just that reason. Since Christian Loetscher married a Catholic, I am also descended from some of the first Catholics in Conway that I think you mentioned; the Schichtls. It appears that Verna, George, and John likely each married Methodists due to their burial locations. Christian, Magdalena, and Carl married Catholics, I think. I don’t know yet what faith Peter might have practiced. I have been very curious what faith Peter Paul and Magdalena practiced, given their total isolation. I do have George attached to the family on the Find a Grave website. And due to your amazing research, I was able to find Verena’s info too and am now attaching her. Thank you. I cannot thank you enough for this! I was completely immersed in the way you told the tale. The newspaper quotes were vital. Understanding the mayor’s background and his later good deeds makes it much easier to sympathize with him. I have wondered if Peter Paul truly had no other options to feed his family, or if he was being obstinate. I will read your amazing article another 10 times and your resources and see if anything more can be fleshed out. Thank you, thank you! THANK YOU for writing this!! Intriguing, historical, and utterly compelling.